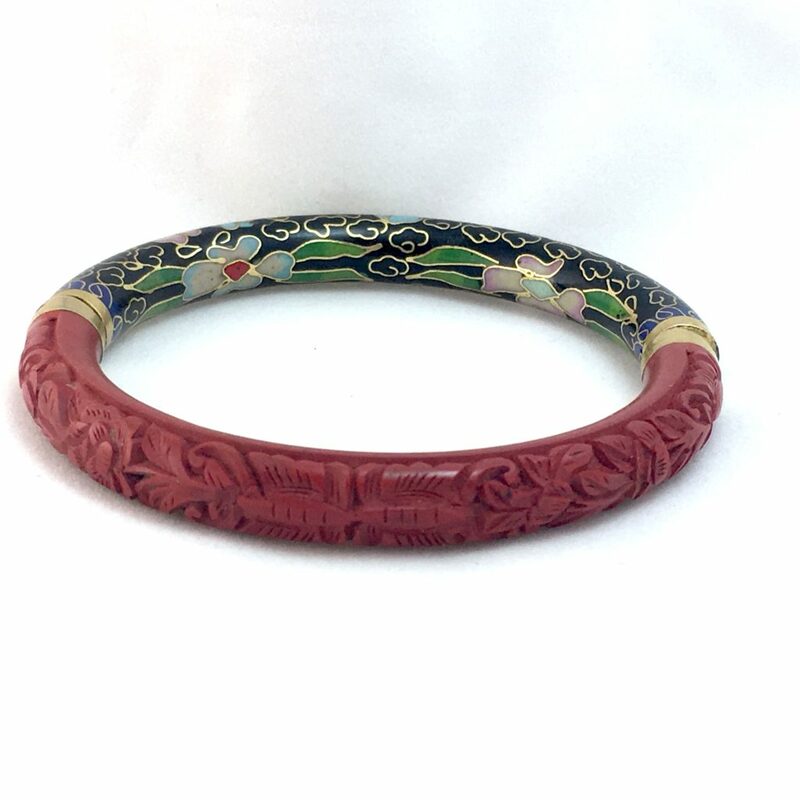 In a recent jewelry haul I found a beautiful hinged bracelet made up of half cloisonne and half, what I thought might be, cinnabar. 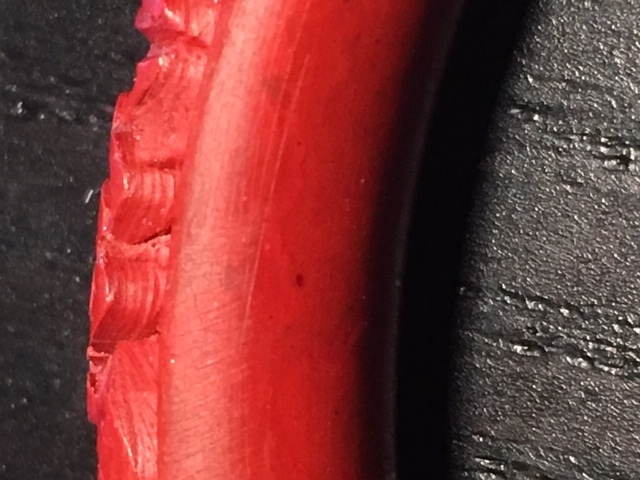 The only trouble was I wasn’t 100% sure how to tell if the carved red half of the bracelet was truly cinnabar or a molded resin. I decided to do a bit of digging to find out a bit more about cinnabar. While these are accurate of what cinnabar is, it didn’t address the process of creating beautiful art pieces and jewelry. 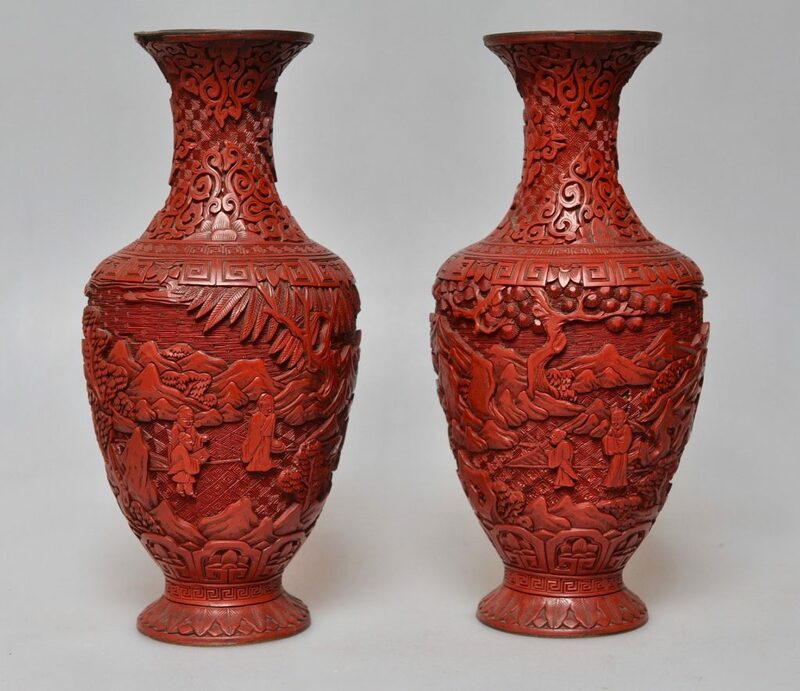 When we are looking at these carved pieces that are sometimes described as cinnabar no matter the color, it’s important to note that cinnabar refers to the red pigment that was used to color the sap or resin of trees. These resins were used to create carved lacquer pieces or lacquerware in China starting around the twelfth century, and were colored with naturally occurring pigments such as carbon for black, orpiment for yellow, and cinnabar for red. 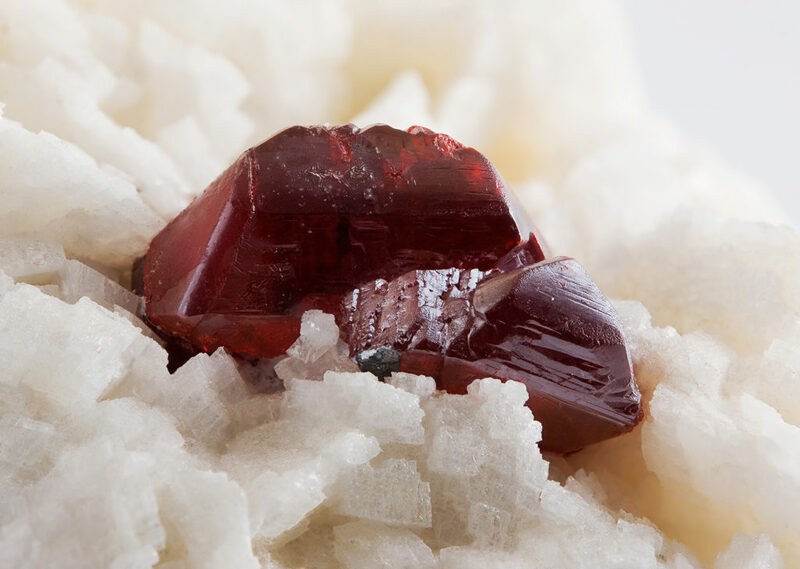 The mineral in cinnabar giving it its red pigment is mercury. Yes. The same mercury that is poisonous and caused lots of neurological and physiological problems. The health risks from mercury were unknown during this time. Mercury was actually thought to promote longevity! 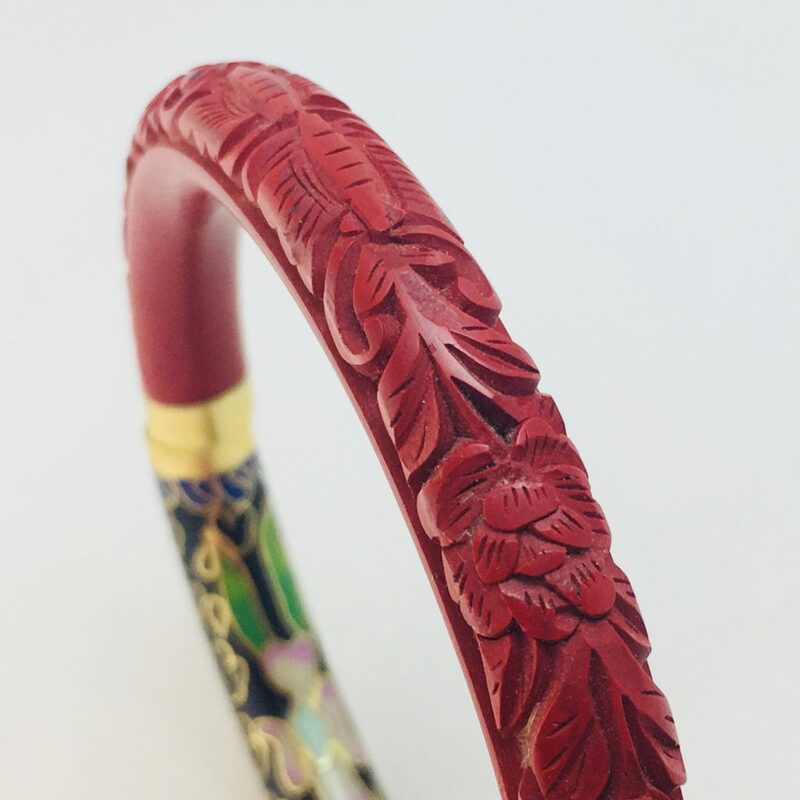 How is Cinnabar Lacquer Jewelry and Cinnabar Lacquerware Made? Lacquer is made from the resin or sap of a variety of tree commonly called the Chinese Lacquer Tree. The resin is dyed using minerals to pigment the sap depending on the desired color, as stated above. The lacquer is then painted onto a vessel or core, usually made of wood or metal, and then left to dry, usually for days per layer. This process is repeated layer by layer until the desired thickness of lacquer is achieved. Artists then carve into the lacquer to create designs, flowers, insects, or other scenes. 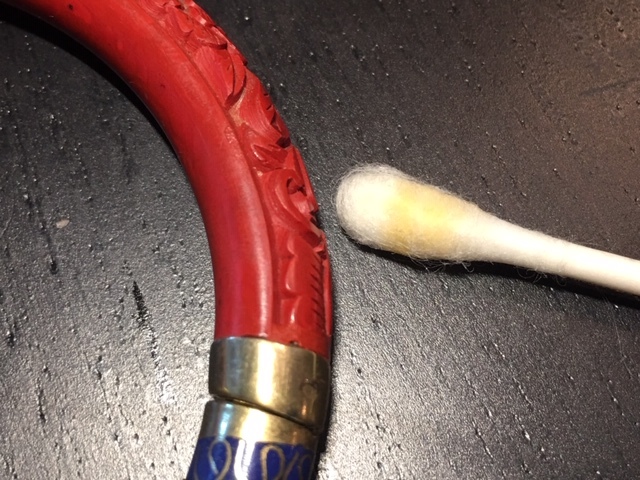 So here’s the trouble, how to tell the difference between real cinnabar and fake? 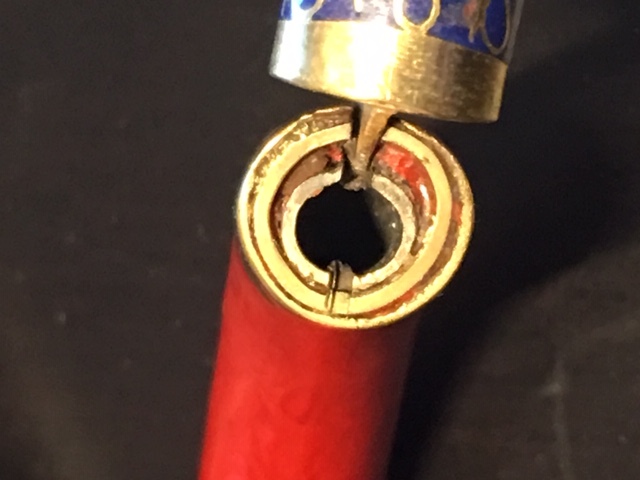 From my reading and research I found a few methods to try on my cloisonne and cinnabar bracelet. 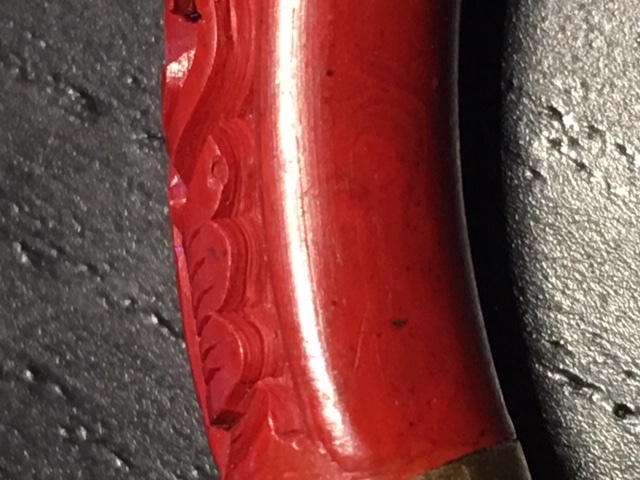 1 Look at the carving with a jewelers loupe. You should be able to see layers on the “cliffs” of the carving. 2 On plastic pieces or possible molded resins, you will see divots where the air escaped creating air bubble holes. 3 On plastic or poured resins, you may also find seams. 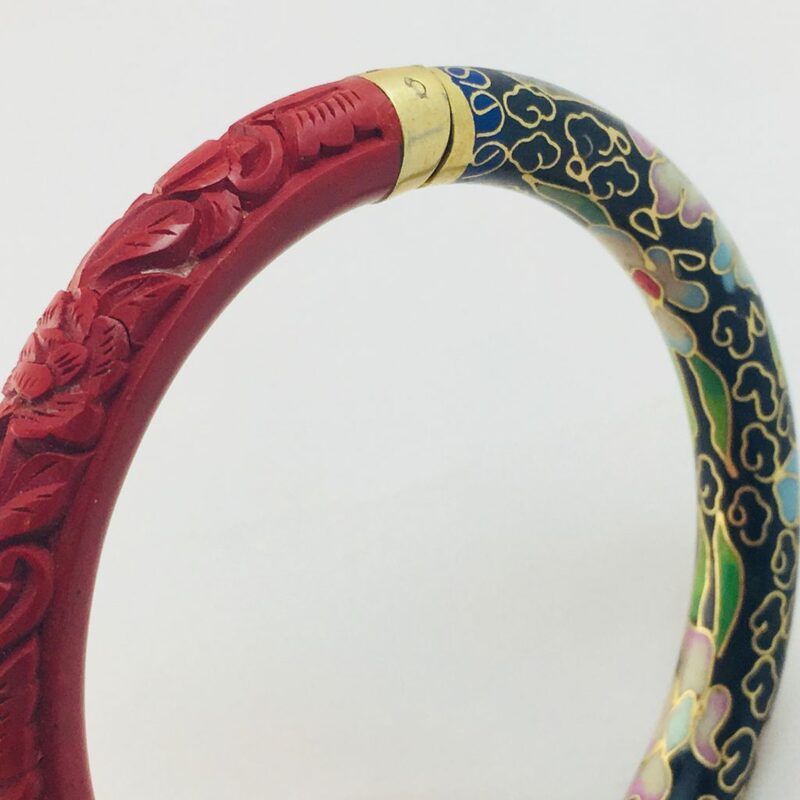 Real lacquerware pieces won’t have seams. Black speckles or dark black spots on cinnabar? I noticed that my bracelet had a few black “freckles” and couldn’t find any information about this anywhere. I noticed that the mineral cinnabar has black spots, but I’m not sure if that is where the connection is or not. I doubt it because the cinnabar would’ve been ground to powder before added to the sap/resin to create the red pigmented lacquer. I found scientific articles discussing the darkening/blackening of cinnabar in sunlight, and wondered if this happens across the entire piece uniformly or in spots. Is this evidence of the core being metal? 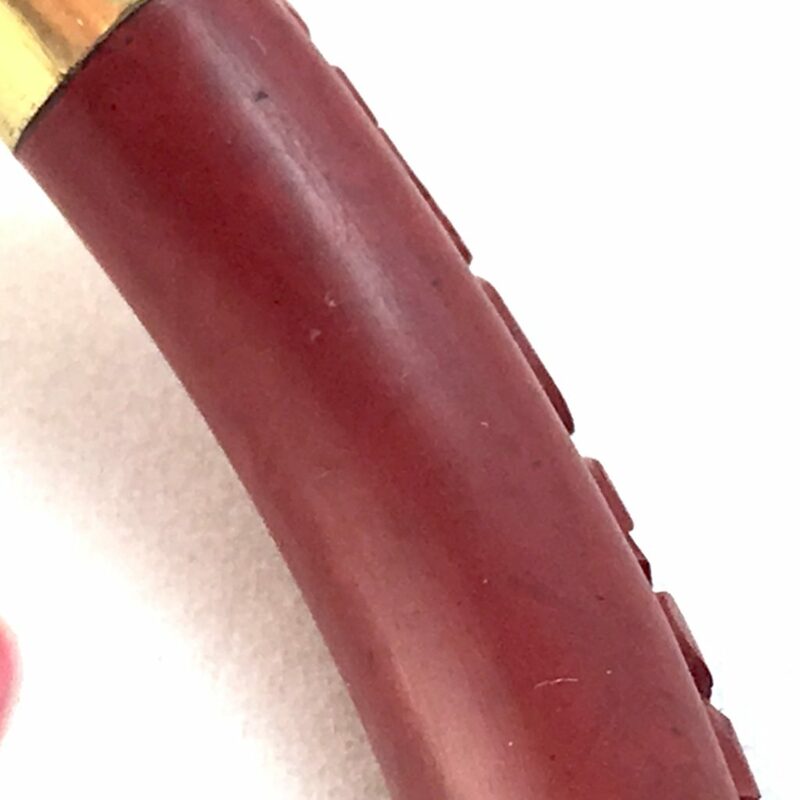 As I inspected my bracelet further, I noticed that in the center (around the hinge and closure) I could see another metal hollow piece, presumably evidence that the lacquer was applied to it rather than it being a poured or pressed piece. 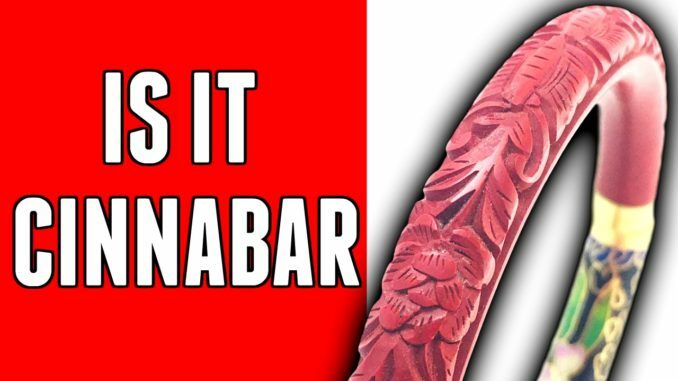 I’ve really enjoyed diving deeper into learning about cinnabar and the ancient art of lacquerware. If you have any additional information that will help in this research process, I’d love to hear it. As always, I strive to give accurate information and am linking all of the pages and videos below that I used to compile my information and research.